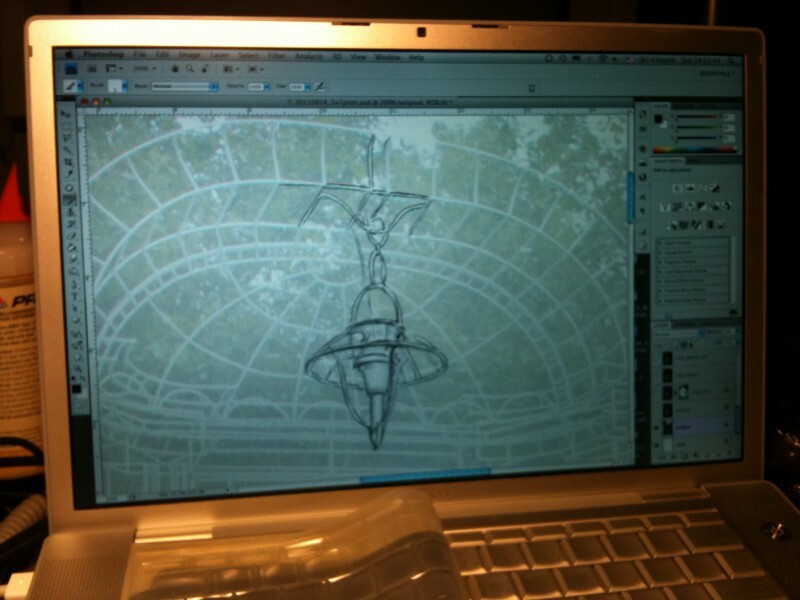 Since 1999, I have used Mac and Wacom Tablet as my drawing tools for archival digital prints. 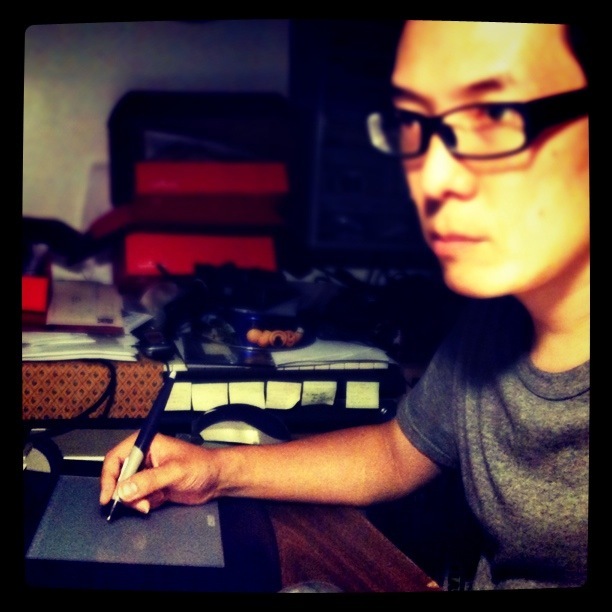 I use Wacom Tablet. This is quite old… Intuos 2, which is still in perfect working condition, and I have no reason to buy new one. A great product!! I always take a photograph in order to trace a motif. When I worked for a monthly periodical “Car Graphic” magazine, I always looked for a nice car. If you are interested in to see my illustration for “Car Graphic” magazine, please visit here: http://cargraphic.takafumiide.com/. I open the photo image, which I took at Stone Quarry Hill Art Park last week, in Photoshop. 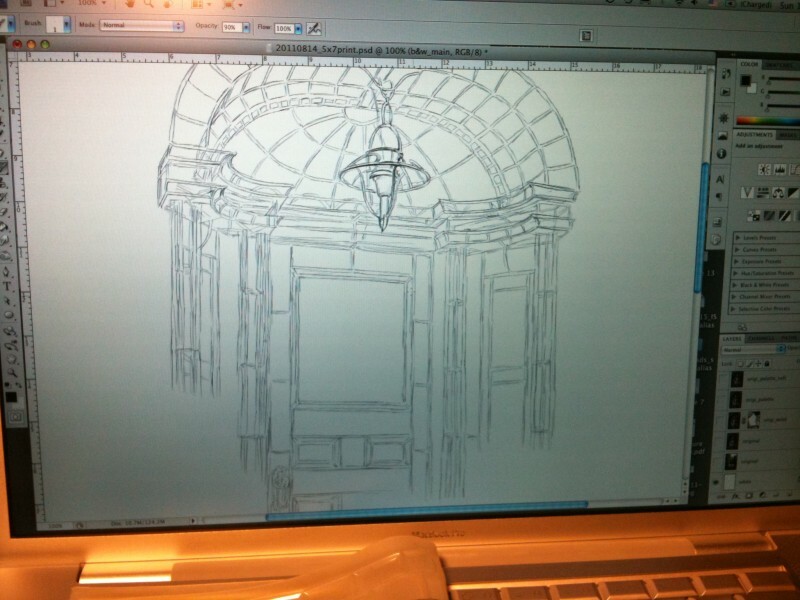 I trace and draw the motif or subject with brush tool. It often takes about 4 hours to draw the main subject. But sometimes I spend more time because I do several jobs in once. More time is better, because I can adjust my eyes. I prefer to have some breaks while I am drawing. Here is the image of the middle of process for creating 5 x 7 inch print. I usually trace all the line and add shadows in this process. Let’s see what is going on next! This entry was posted in art, computer, illustration, tech and tagged apple, computer, illustration, kickstarter, pledge, print, tech, threshold. Bookmark the permalink.